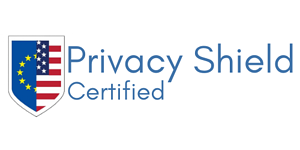 In order to further support our promise of data privacy and protection, we are proud to announce our certification by Privacy Shield. Security is of paramount importance at WizeHive -- our clients trust us with their information and that of their constituents, and we make every effort to deserve that trust through an industry-leading set of procedures and protocols. Continual innovation and improvement is also one of our tenets. With these two areas in mind WizeHive recently went through Privacy Shield certification to ensure we were at the forefront of data transfer best practices and providing our clients with the clearest information possible. Privacy Shield has increased in popularity in response to GDPR and the resulting need for many organizations to revisit their data privacy policies, as well as those of the organizations with which they do business. The U.S. Department of Commerce and the European Commission and Swiss Administration developed the EU-U.S. and Swiss-U.S. Privacy Shield Frameworks, comprehensive certification models that ensure companies comply with data protection requirements when transferring personal data from the European Union and Switzerland to the United States, in 2016 as a follow-up to the US-EU Safe Harbor Framework. WizeHive made our ZengineTM system GDPR compliant before GDPR went effective in May 2018 in order to support our many international clients, as well as continue to provide the highest quality security and privacy protection to everyone using our platform. Our addition of our Privacy Shield certification in December was a logical next step, a clear promise of our security and protection to organizations around the globe. U.S. businesses can become Privacy Shield certified in the EU-U.S. framework, Swiss-U.S. framework, or as WizeHive selected, both. Becoming certified is voluntary, but provides clearer guidelines for secure data transfer and holds certified businesses to these standards under penalty of law. Maintaining data integrity, including storing only the personal data necessary and for only so long as it is truly necessary. Ensuring protection of data transferred to our third-party vendors. WizeHive holds the data privacy of our clients’ data very seriously, and is proud to take a comprehensive approach to security across our organization as a whole. You can read more about our approach to security on our website.